Doug Weight played 18 seasons in the NHL but never got to skate in one of the League's outdoor games. He'll finally have a chance to be a part of one this season in his role as assistant coach of the New York Islanders. 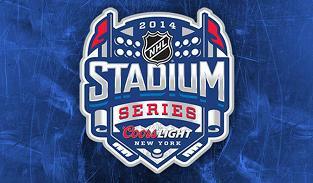 The Islanders will play the New York Rangers on Jan. 29, 2014 at Yankee Stadium as part of the 2014 Coors Light Stadium Series. Weight said he had watched the previous outdoor games and said he envied those players that got to take part in those games. "Of course I was jealous," he said. "You're always hoping, but this is great. It's going to be fun and something the guys will remember. We'll see what kind of clothes they have us wearing behind the bench." Weight said growing up in Detroit, playing outside was a frequent occurrence. But that ended when he got to college and later the NHL. Watching the annual outdoor games, however, brought him back to his youth and had him hoping someday he could be a part of one. "Watching these games over the past four, five years, it's really cool," Weight said. "It's cool to see them. ... Watching that one game with the Penguins [2008 Winter Classic], with the flurries coming down." Weight said he plans on having just as much fun when he and the Islanders walk out of the dugout at Yankee Stadium in January. And that the Rangers will be coming out of the other dugout makes it that much more fun. "It's going to be a big one. It's going to be fun," Weight said. "It's a neat thing the NHL is doing. We're certainly proud to be part of it. A great rivalry, Yankee Stadium. That's a pretty good script. It'll be fun."